With All-Star Weekend upon us, all 30 teams are anxiously awaiting their descent upon Charlotte, North Carolina for their opportunity to debut their young talent. The Kings are set to have four representatives during the annual weekend festivities! Here is how you can catch the action and see how All-Star Weekend unfolds. 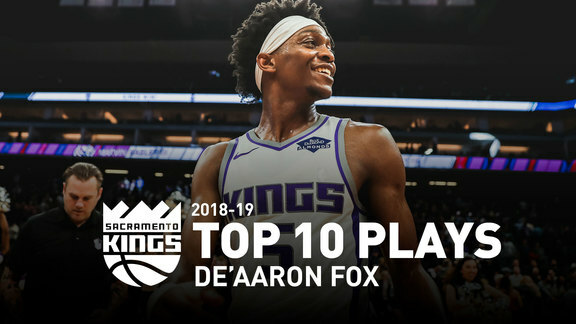 The Rising Stars Game will air live on TNT and ESPN Radio at 6 p.m. PT from the Spectrum Center and will be highlighted by Kings sophomore guards De’Aaron Fox, Bogdan Bogdanovic and rookie forward Marvin Bagley III. The All-Star Saturday Night events will air live at 5 p.m. PT on February 16th from the Spectrum Center. The 17th NBA Skills Challenge will feature the Kings lightning fast point guard, De’Aaron Fox, matching up against Mike Conley, Luka Doncic, Nikola Jokic, Kyle Kuzma, Jayson Tatum, Nikola Vucevic, and Trae Young. In the 33rd NBA 3-Point Contest, sharpshooting Kings guard Buddy Hield will be featured for the first time, joining former champion Devin Brooker, along with Seth Curry, Stephen Curry, Danny Green, Joe Harris, Damian Lillard, Khris Middleton, Dirk Nowitzki and Kemba Walker. Fans are encouraged to follow along on the team's Twitter, Facebook and Instagram accounts for complete coverage!